Doors & Bar open 7 pm. Starts 7.30 pm. Tickets: £10 adv. £12 on the door. £8 concs – U18, student (on production of student card), unemployed (on production of UB40 or similar). 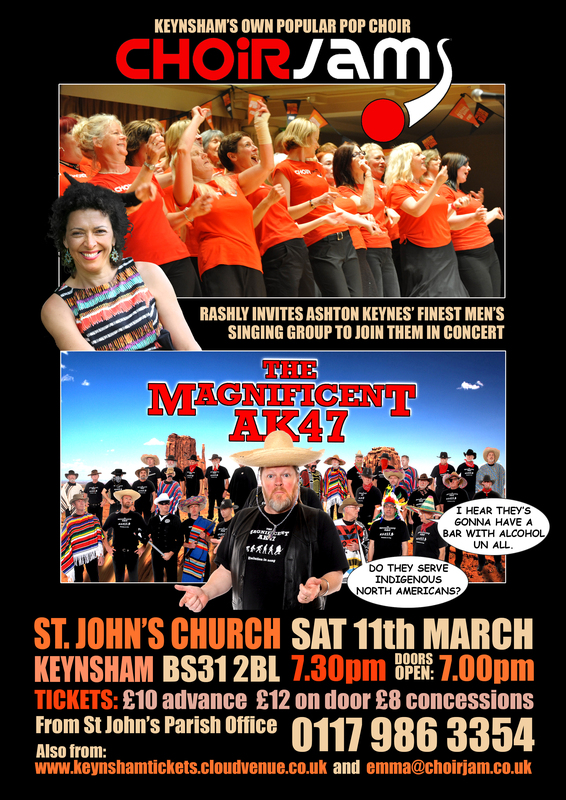 Available from: www.keynshamtickets.cloudvenue.co.uk, emma@choirjam.co.uk, St John’s Parish Office 0117 986 3354. 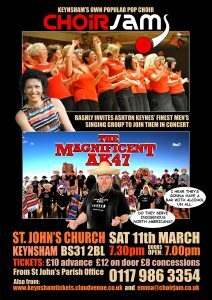 Retiring collection for MHA Music Therapy Appeal Bristol. MHA provides valuable music therapy sessions for people living with dementia. Even when many memories can be hard to retrieve, songs and music are especially easy to recall. Music therapy gives people living with dementia a chance to express the emotions that are within them, often after their ability to communicate verbally has gone. The group and one-to-one sessions MHA provides gives them a safe space to show their innermost feelings. With your support, MHA can bring the benefits of music therapy to even more of the residents in their specialist dementia care homes in Bristol and Bath. This entry was posted in Events on 06/02/2017 by emzzzzz25.